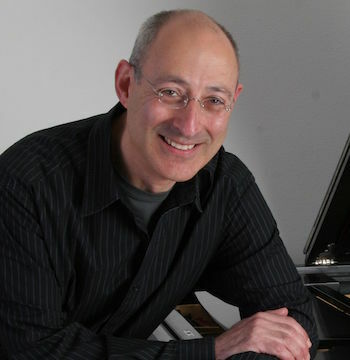 Acclaimed Bay Area pianist Robert Schwartz performs at Piedmont Piano Company for the first time. Known for creating programs of great variety and color, he will begin with the elegant and always surprising Sonata No. 49 in Eb Major by Joseph Haydn. The program moves from the 18th c. royal court to belle Époque France with four atmospheric Préludes of Debussy and the first half finishes with the driving and powerful Prokofiev Toccata Op. 11. The entire second half will consist of Franz Liszt's B Minor Sonata. This most epic and Wagnerian of Liszt's piano works portrays terrifying struggle alternating with passionate lyricism and, in the end, resolution and peace. Pianist Robert Schwartz has earned an international reputation as a remarkable artist whose powerful performances are marked by poetry, insight and technical mastery of his instrument. Known for putting together challenging programs of great dramatic range, he plays actively around the globe and is a sought-after performer here in the Bay Area. Schwartz gravitates toward large-scale works, regularly performing all twelve pieces of Albeniz's Iberia in concert. His recording of the entire work will be released soon. He is equally effective in intimate works, regularly performing miniatures by Schumann, Mendelssohn and Brahms. His specialty is French music; He was awarded the Ravel Prize at the Marguerite Long International Competition in Paris. His CD of works by Debussy, Franck and Poulenc have garnered great praise. Mr. Schwartz's concerts and master classes have taken him to various U.S. cities, including New York, Boston, Houston, Portland, Memphis and Dallas. He has concertized and taught students in Argentina, China, France, Switzerland and Austria where he has been featured in festivals and has made his mark on generations of young musicians. Standout performances in the Bay Area include Mozart's D Minor Concerto with the San Francisco Chamber Orchestra, Beethoven's Emperor Concerto with the Redding Symphony and solo recitals at San Francisco Performances, the Steinway Society in San Jose and Old First Concerts in San Francisco. Schwartz participates regularly in Gala Liszt and Chopin concerts at Old First Church and, most recently in the Debussy Centennial Concerts. Schwartz is an active master piano teacher in San Francisco and considers teaching an essential part of his musical life. He has an extensive private teaching studio and is on the faculty of the San Francisco Conservatory of Music and Mills College in Oakland.